While student recruitment is a vital component leading to the success of a school, research shows that less than half of all education institutions have a clear strategy that guides the development of their recruitment efforts. This is hardly surprising, given the rapid expansion of recruitment needs and the new digital tools available for innovative marketing. 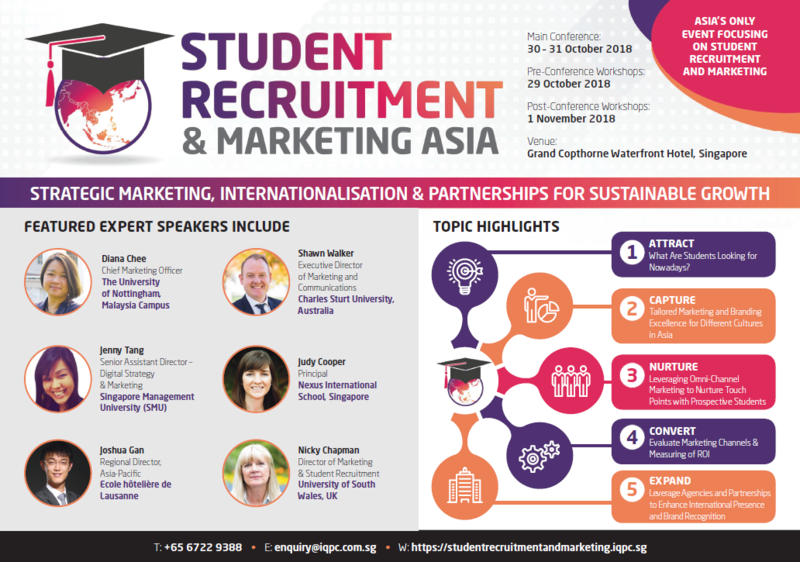 Focusing on student recruitment channels, marketing success stories and country specific winning strategies in Asia, this event prepares you for successful school branding and marketing as a key differentiator from the ultra competitive market. Download the agenda to find out more.